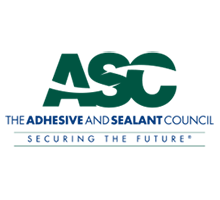 Founded in 1875, we are the longest continuously operating adhesives manufacturer on Earth. Headquartered in Elgin, IL, we have a crucial advantage for fast delivery and response – with a 24-48 hour turnaround. Five generations of the Wisdom family have continuously owned and operated Wisdom Adhesives Worldwide. Multiply 140 years by the number of Wisdoms and employees who have worked with us, and this adds up to an incredible amount of passion, action, reinvention, endurance, relationships, and generosity – the six guiding principles of The Wisdom Way – invested on behalf of our customers and our communities. No one knows the adhesives business better. What hasn’t changed is our emphasis on innovation, high performance and personalized service—the same vision Phillip Wisdom had when he founded our company in 1875 on Canal Street in Chicago, IL and made deliveries by horse and cart in the wake of the Chicago Fire. What our founder couldn’t foresee is the high speed in which Wisdom Adhesives delivers fast technology, fast service and fast delivery today. 1875—Phillip Wisdom initializes the business on Canal Street in Chicago, Illinois, erecting a sign—“Wisdom & Company, Western Depot and Glue.” Wisdom becomes a manufacturer and seller of industrial adhesives. 1900—Wisdom Adhesives celebrates 25 years in business. Top client is George Pullman & Company, a leading manufacturer of railroad equipment. 1910–1920s—Wisdom Adhesives helps the literary world come to realization with a full line of adhesives for bookbinding applications. George Wisdom takes over the helm at Wisdom Adhesives. 1935—Harry Wisdom becomes the third -generation president and majority owner of Wisdom Adhesives. 1945—Wisdom Adhesives moves to a larger operation on the South Side of Chicago, Illinois. Sales ramp up markedly since the company’s inception. Product line is expanded to include adhesives for graphic arts and paper converting applications. 1955—Wisdom Adhesives expands to a new location in Franklin Park, Illinois. Modernization of the time period takes place. 1960s—New state-of-the-art mixing equipment is installed; growth continues. 1960s—George Wisdom takes the helm of Wisdom Adhesives and further modernizes sales, accounting, and manufacturing processes. Sales incrementally grow significantly during his tenure. 1970s–1980s—Technology, manufacturing, and sales growth are the order of the day for the ’70s and ’80s. The 100th anniversary of Wisdom Adhesives is celebrated with a company picnic with key customers and vendors in attendance. Carl Wisdom becomes the acting president of Wisdom Adhesives. 1980s–1990s—John Wisdom assumes leadership of the company and spurs further growth of capabilities, technologies, and sales. 1990s—Expansion to Los Angeles, California, and Boston, Massachusetts, for warehousing and production. Overseas operations in China, India, and Japan are opened. 1980s–1990s—Sales of bookbinding adhesives continue to expand into Asia and Europe. Development of Wisdom International signals a new era for the company. Significant growth of overseas products and sales are seen just prior to the new millennium. 1990s-2000—Jeff Wisdom—fifth-generation owner—becomes president of Wisdom Adhesives. Product lines are further expanded to packaging and assembled products, in addition to graphic arts and paper converting. 2000s—Expansion to Southeastern United States locations for adhesive production. Annual sales reach new milestones. 2000s—Wisdom Adhesives moves to their new state-of-the-art location in Elgin, Illinois. Capabilities, sales, and technologies all rapidly advance. WizBond water-based Adhesives are leading the way. 2000s—Establishment of the Wisdom Global Adhesives Group—sales in over 13 countries. 2000s—ClearBond hot melt product line introduced. Further technological growth continues. Operations are expanded to Canada and Mexico with the establishment of Wisdom Mexico and Wisdom Canada. 2005—Establishment of several new programs, including WTQM LSS-FAST, ECO2 Management, GreenBond Sustainable Adhesive Product Line, the WizNet Online Ordering System, and The Wisdom Family Foundation, and the installation of a hot melt line in Elgin, Illinois. Sales set to surpass record levels. Operations are expanded to the Caribbean with the establishment of Wisdom Caribbean. New technologies to Wisdom are produced locally. 2008—Sales continue to grow at a rapid pace. Continued expansion into North American and international operations. T3 (Tiger Team) initiated to combat and find alternatives to raw material cost increases and improvement of efficiencies. Newly innovative and environmentally compatible hot melt line of olefin-based products is introduced. GreenBond Sustainable Adhesive Scorecard rolled out. Wisdom establishes manufacturing and additional warehousing in Western United States. 2011—Wisdom Adhesives is now Wisdom Adhesives Worldwide. The name change reflects Wisdom’s rapidly growing importance in supplying premium adhesives to the global packaging and converting markets. 2012–2014—Introduction of the WizAssure line of olefin-based hot melt adhesives. Continued expansion globally and in North America. 2015—Wisdom Adhesives Worldwide celebrates 140 years, maintaining its mark as the longest continuously running adhesive manufacturing company the world! 2016 — Wisdom Adhesives Worldwide has manufacturing and warehousing locations throughout the world. SuperWizBond, high-polymer hot melt adhesive is introduced. 2017 — Wisdom is acquired by H.B. Fuller, a global provider of industrial adhesives.